Please read this entire ad, especially the part in regards to this being an 8mm mirror! Just because your model is mentioned in this ad, does NOT automatically mean that this mirror will fit! Your mirror mounts could have been swapped out over time! PLEASE CHECK YOUR CURRENT MIRROR MOUNT BEFORE ORDERING! 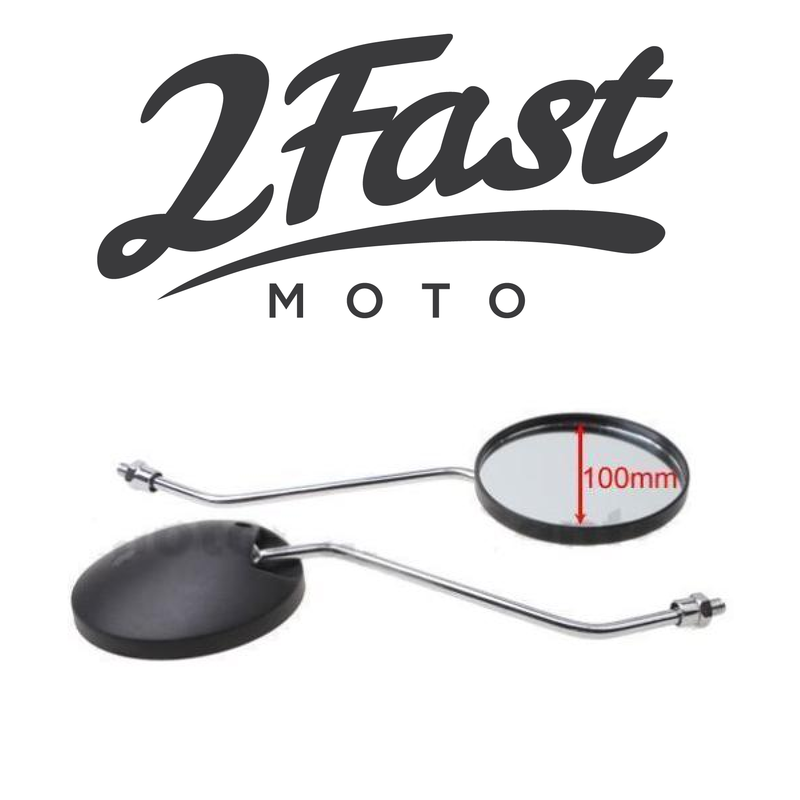 PAIR (you will receive 2 mirrors) of BRAND NEW 8mm MIRRORS that will work with 'MOST' Honda, Suzuki and Kawasaki motorcycles and many of today's Import Scooters with an 8mm mirror mount! Will NOT work with the Yamaha reverse thread setup! They have a Chrome Stem with a Black Plastic Mirror Frame / Housing. NOTE: Please check your bike to make sure you are purchasing the correct size. We offer both 8mm and 10mm mirrors. 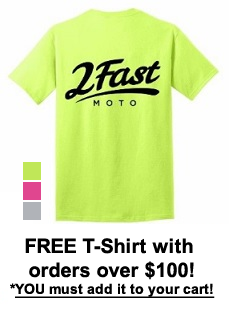 But do not buy one and expect to switch your order to the other. You must select the correct mirror BEFORE making a purchase! See below on how to determine your correct size! 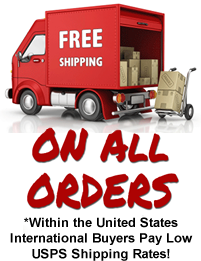 Please check out my other auctions for more GREAT DEALS on Vintage and Classic Cycle Parts!